I figure if a girl wants to be a legend she should just go ahead and be one -- Calamity Jane. 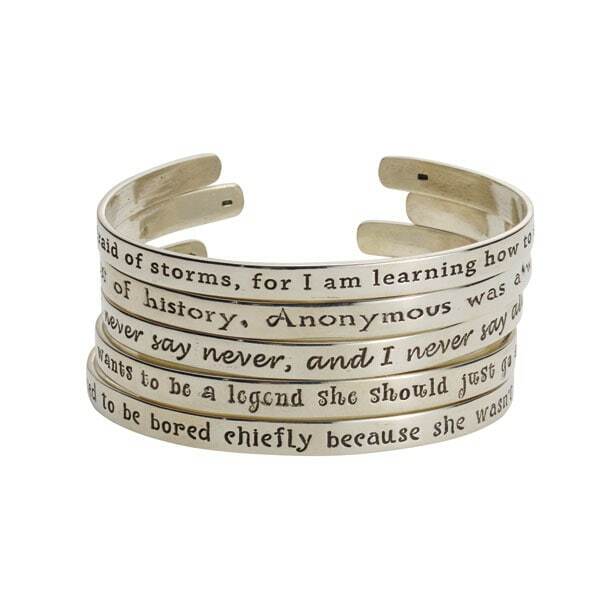 Inspiring, provocative words to wear and live by, written or spoken by some of history's most famous and influential women. Sterling silver 1/4" cuffs are engraved outside with the quotation, inside with the woman's name. Slightly flexible bracelets fit most wrists. To gift, collect, wear singly or in multiples. Specify quotation; choose from those listed.